For people with intellectual disabilities, effective communication presents a special set of challenges. Despite moves towards personalization in social care, large gaps exist between policy rhetoric and practice. How can we support people with intellectual disabilities on a day–to–day basis in ways that increase their power and control? What does effective participation mean in the real world? Disability and Discourse helps to bridge the actual and perceived differences that exist between people with and without intellectual disabilities. By analysing real life encounters between people with intellectual disabilities and those who work with them, Val Williams provides illuminating insight into the subtle ways in which people are treated in routine conversations. Her original research identifies empowering practices, and reveals the ways in which individual voices are linked to a collective voice . Situations are also explored in which people with intellectual disabilities are empowered to have a voice in their own affairs, in policy–making, and in research. 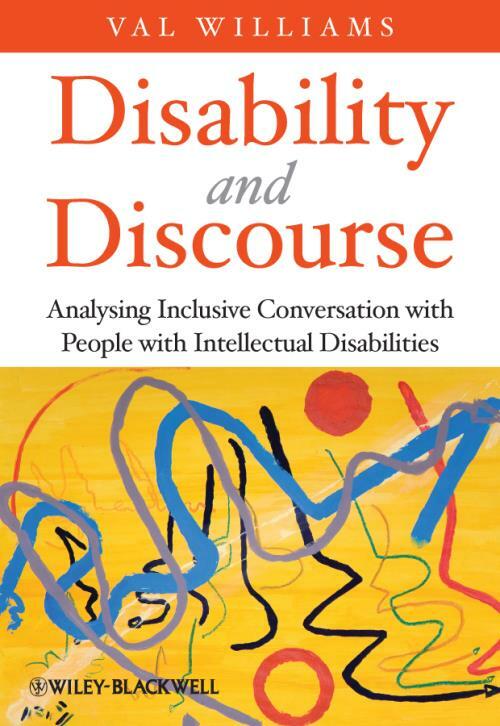 At once illustrating the practical value of Conversation Analysis and increasing its scope to influence practice, Disability and Discourse offers a powerful voice for people with intellectual disabilities. 7 Doing Autonomy: ′It′s entirely up to you′. 9 Self–Advocacy Talk: The personal to the political. 11 Being Interviewers with the Label of ′Intellectual Disability′. 12 Behind the Scenes in Inclusive Research: ′We are the artists of our lives′.